I do not like math. I was an English major. I should be exempt from this math stuff. That goes double for Calculus. I got a request for a manuscript, so I went back to look at it to see if anything needed to be tweaked. And then I tweaked a little more. It’s like pulling on a thread, then another one, and pretty soon you’ve got a tangled mess on your hands and the cat is looking at a new play toy. I took all the tangled threads to my writing room, shut the door on the cat, and sat down to stitch it all back together again. The problem is, the more I revise, the closer I get to being “finished,” the more leeeeeetle tiny changes I see that I could make. It’s like an asymptote thingy: the closer I get to The End, the more The End shifts back toward infinity. When do you consider a revision done? When you’re so sick of looking at the manuscript that you can’t take it any longer? Rachel Neumeier wrote about the psychology of rewriting. If you want to *finish* a revision, letting it be done is kind of crucial. You can trust your beta readers to let you know if there is something that still needs work after you have done the revision. But generally, if you work on, say, fixing a protagonist’s characterization, you will find that even if you can’t tell whether you’ve succeeded, you have. Feelings of insecurity about this are just another iteration of the unjustified insecurity that is (often) part of the writing process. Tolerating those feelings and moving forward is one key skill for a writer. I agree with that. You can drive yourself crazy. Revise, trust, send out. 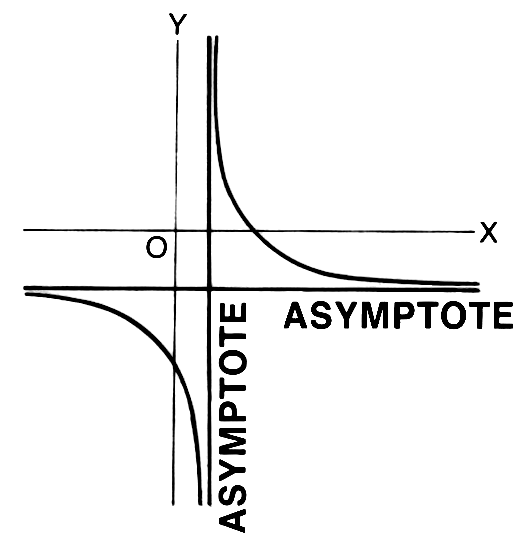 “Asymptote (PSF)” by Pearson Scott Foresman – Archives of Pearson Scott Foresman, donated to the Wikimedia Foundation. Licensed under Public Domain via Wikimedia Commons. This entry was posted in Writing and tagged Rachel Neumeier, Rewriting. Bookmark the permalink.